Add some sparkle to wine o'clock with this gift-boxed pair of crystal red wine glasses complete with diamante filled stems. 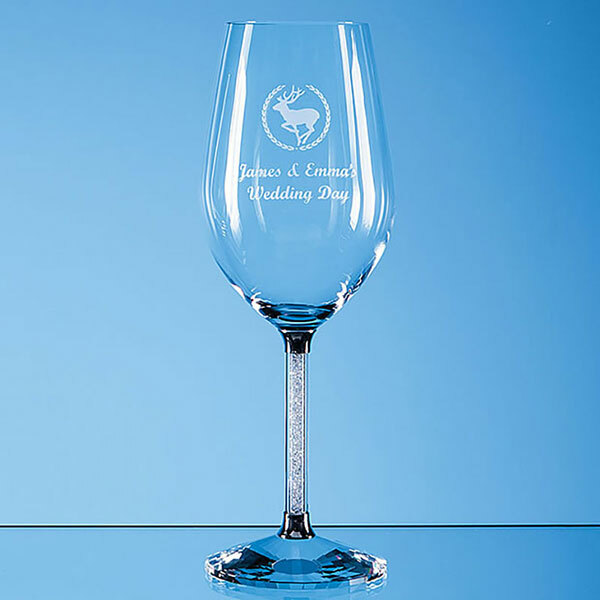 These deep glasses are perfect to engrave as wedding gifts, engagement gifts, anniversary gifts or in fact any occasion or achievement that deserves celebrating. 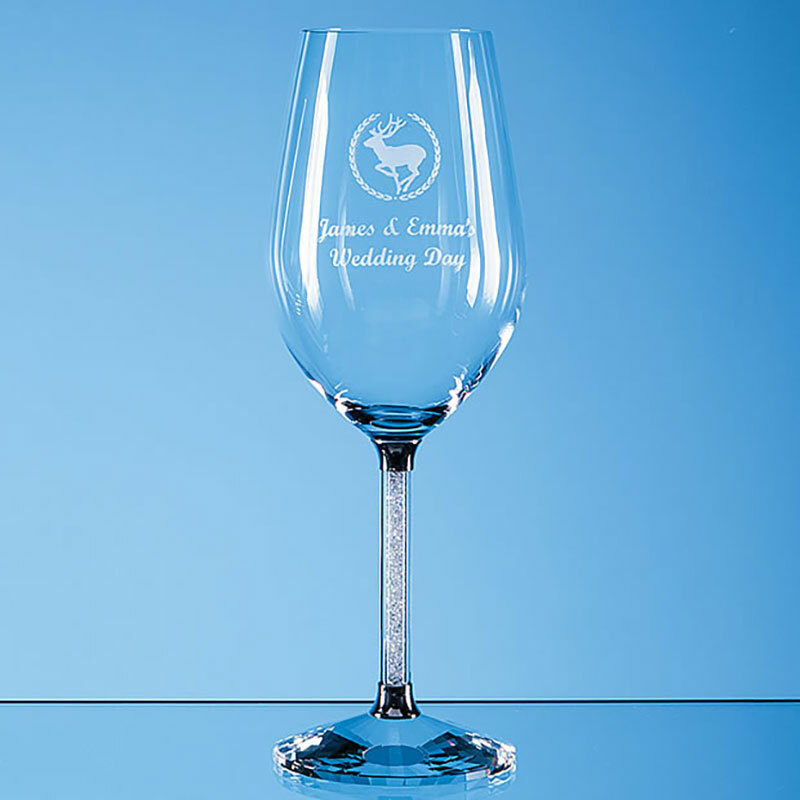 They are offered with both text and logo engraving options - perfect for corporate gifts - and are supplied in a satin lined gift box.